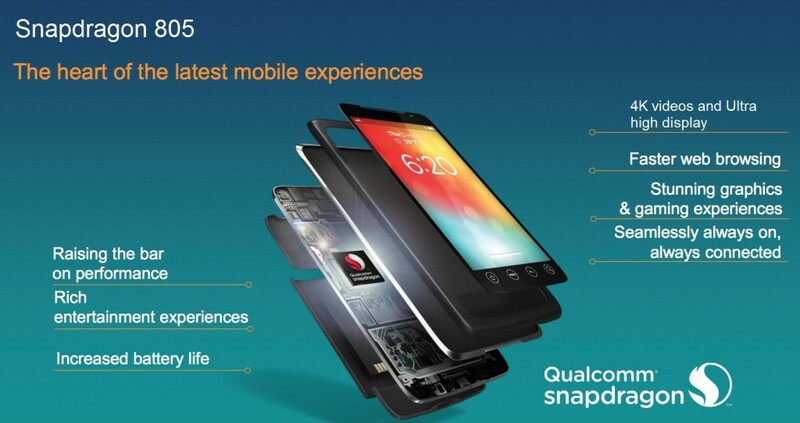 Qualcomm introduced its latest Snapdragon 805 processor. The Snapdragon805 is successor to snapdragon 800 processor, which was announced in January. It features new Adreno 420 GPU which claims to offer 40 percent more graphics processing. Upcoming flagship / high end smartphones would be powered by this CPU. The new 805 processor brings support for Ultra HD 4K resolution, on the device and UHD TVs. According to the Qualcomm, it is the first mobile CPU that offers system level UHD support, 4K video recording, 4K video playback and improved dual camera Image signal processors. It will be available in upcoming smartphones by 2014, as the mass production of the 805 begins.